Apple is set to boost the graphical processing capabilities on its new iPhone 5 and iPad 2, bringing higher resolution to the iPad and better gaming and video to the iPhone. AppleInsider is reporting that the new devices will be packing next generation graphics cores – finally upgrading the tech that's been present since the iPhone 3GS days. This means the iPad will be able to run more pixels on its large display, lending weight to the recent rumours of a much higher-res screen on the forthcoming iPad 2. For the iPhone 5, this means better gaming due to improved polygon drawing speeds, as well as the possibility of 1080p output thanks to the phone's more powerful video decoding abilities. Given the advent of 1080p video on the recent Apple TV release, such a feature is feasible, especially since the likes of the new LG Optimus 2X are capable of such output. Apple is apparently planning to use the new SGX543 graphics and video core, but use two in tandem with its upgraded multi-core CPU to allow a massive boost in power and processing, as well as (hopefully) a reduction in overall battery strain too. 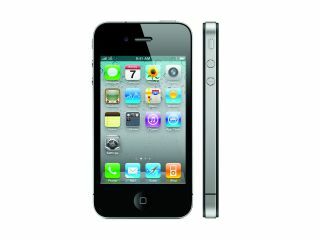 How Apple uses this extra power will remain to be seen though –will the iPhone 5 have an HDMI output? Will we see a new slew of games with incredible graphics appearing on the app store? We'll hopefully have our answers by June.